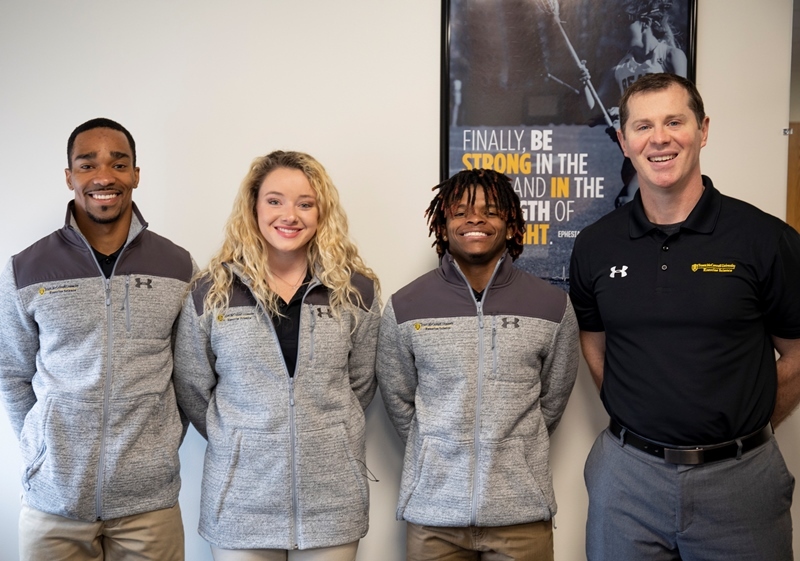 left to right: TMU exercise science majors Devonte Upshaw, Hannah Wall, and Jakaree Garrison, and Assistant Professor of Exercise Science Jeremiah Lukers. (Cleveland)- Three students from the Truett McConnell University Pilgram Marpeck School of Science, Technology, Engineering, and Mathematics (STEM) will present their senior research capstone project at the Southeast American College of Sports Medicine annual conference that will be held this Saturday in Greenville, SC. Assistant Professor of Exercise Science. and research methods, conducted literature reviews on a certain topic, and helped to create and provide this research on the topic at hand. 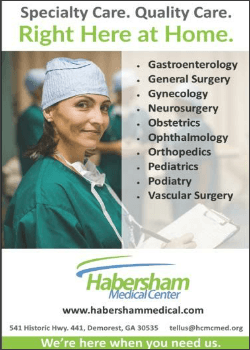 Each student collected data, performed testing on study participants, and then analyzed results to discuss importance of their research project.